The Vocational Education and Training Authority (VETA) was established by the Vocational Education and Training (VET) Act of Parliament No.1 of 1994 revised edition Cap 82 of 2006. The overall objective of establishment of VETA is to oversee the Vocational Education and Training (VET) system in Tanzania. It is charged with the responsibilities of promoting, coordinating, providing, regulating and securing adequate and stable financing of VET system in the Country. VETA is envisioned to have “Tanzania with sufficient and competent artisans”. 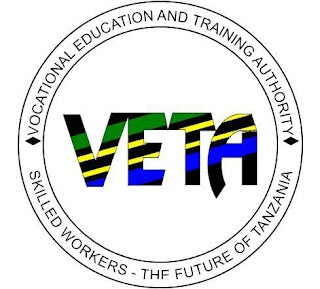 14 The mission of VETA is to ensure quality demand driven vocational skills to Tanzanians through providing, promoting, regulating and financing Vocational Education and Training in order to contribute to socio-economic development. (xi) Prepare monthly, quarterly/annual financial progress report by consolidating progress station records for onward submission to the superior. Form Four (IV) Certificate with at least 3 credits, plus Diploma or Full Technical Certificate (FTC) in Mechanical Engineering with at least 2 years relevant work experience. Attractive remuneration package in accordance with Institution’s Salary Scale. (viii) Monitor discipline of trainees by following rules and regulations stipulated in their joining instruction in order to maintain peace and order at the Training Centre. (ii) Prepare scheme of training by interpreting the curriculum and guidelines in view to achieve optimum results and set objectives. (vi) Participate in curriculum development by initiating improvement recommendations, attending workshops, seminars in order to validate the value of training as per the economic growth demand; (vii) Prepare daily, weekly, monthly, terminal and annual implementation and progress reports by compiling trainee’s assessment forms in view to evaluate training status. Form Four (IV) Certificate with at least 3 credits, plus Diploma in Textile and Fashion Design with at least 2 years relevant work experience. Form Four (IV) Certificate with at least 3 credits, plus Diploma or Full Technical Certificate (FTC) in Civil Engineering with at least 2 years relevant work experience. (x) Prepare monthly, quarterly/annual financial progress report by consolidating progress station records for onward submission to the superior. Form Four (IV) Certificate with at least 3 credits, plus Diploma or Full Technical Certificate (FTC) either in Automotive or Agro Mechanization Engineering with at least 2 years relevant work experience. Holder of “O” level Education Certificate, Technician Certificate in Secretarial Studies from a recognized Institution with at least 3 (three) years’ work experience in the field. (ix) Guide safe use of training tools and equipment by performing daily preventive and corrective maintenance such as cleaning, lubricating, fault checking and do minor repairing to maintain their life span. Form Four (IV) Certificate with at least 3 credits, plus Diploma in Automotive Engineering with at least 2 years relevant work experience. Form Four (IV) Certificate with at least 3 credits, plus Diploma in Printing with at least 2 years relevant work experience. (x) Provide cancelling to trainees through physical discussion and advising in order to give direction and guidance for the better life of our trainees and Prepare monthly, quarterly/annual financial progress report by consolidating progress station records for onward submission to the superior. Form Four (IV) Certificate with at least 3 credits, plus Diploma either in Civil or Mechanical Engineering with at least 2 years relevant work experience. (xi) Prepare monthly, quarterly / annual financial progress report by consolidating progress station records for onward submission to the superior.